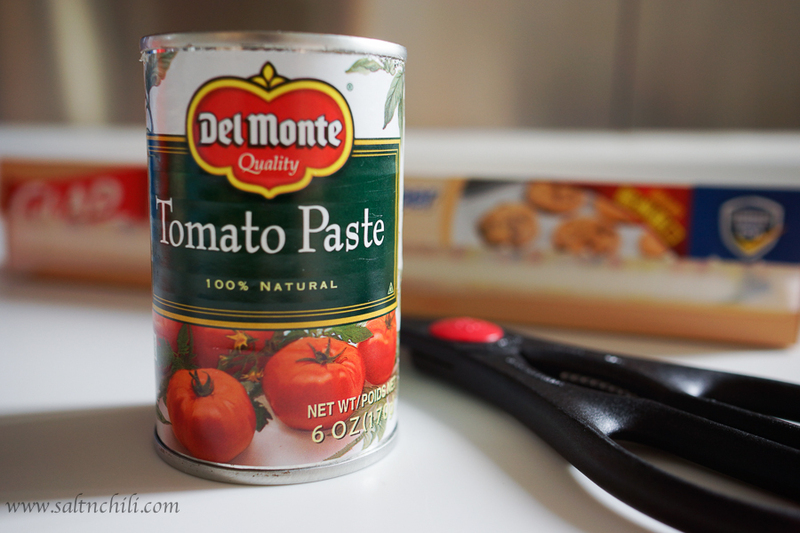 I’m sure we’ve all run into the same problem of not knowing what to do with the leftover tomato paste when your recipe only requires 1 tablespoon. 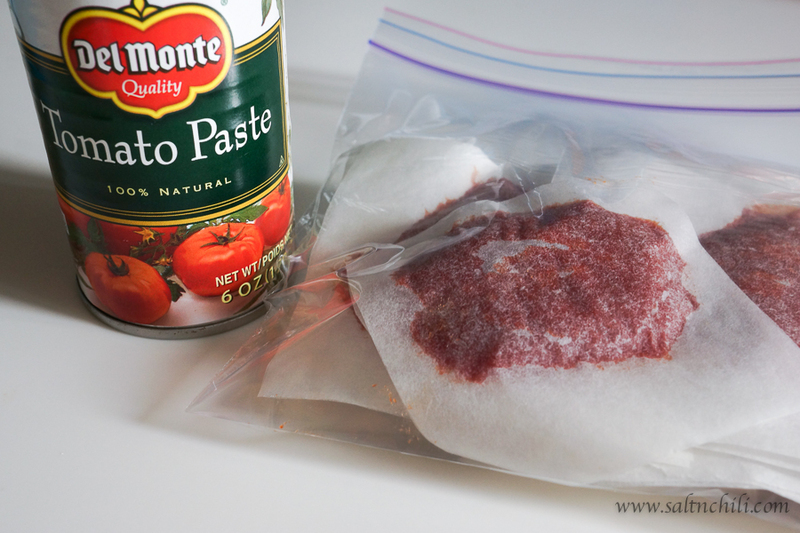 Here, I’m going to share a neat way to freeze your extra tomato paste in just a few quick steps. You just need some parchment paper, a tablespoon measuring spoon, scissors and a zip lock bag. 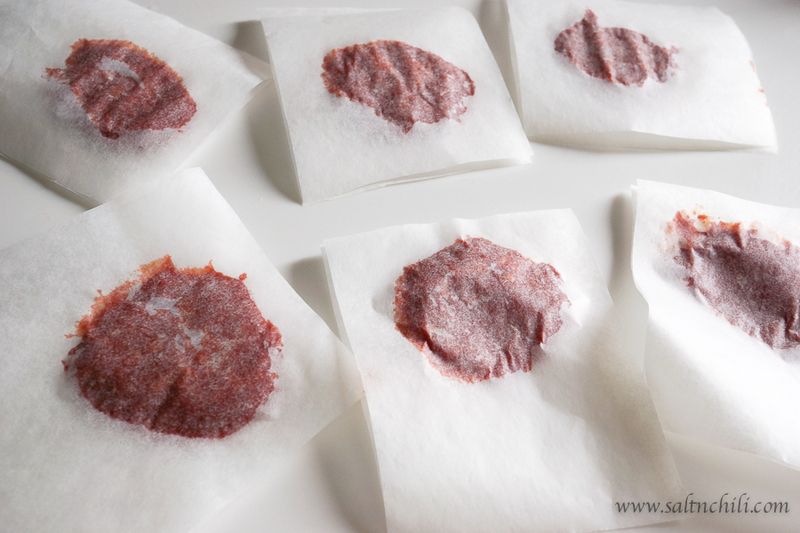 Lay a piece of parchment paper (I had about 6 tbsp of tomato paste leftover here and used a 9″x11″ piece) on your countertop. Using the measuring spoon, scoop a tablespoon of tomato paste onto the parchment paper, starting from the corner and leaving 1-1 1/2″ from the sides. 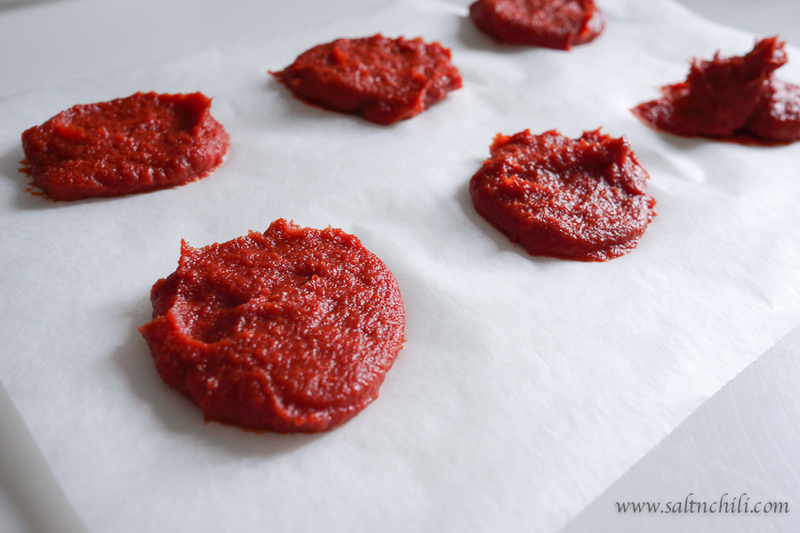 Continue scooping the tomato paste onto the parchment, leaving 1-1/2″ space between each scoop. Then carefully lay the tomato paste squares into a zip lock bag and freeze. They should be frozen in about 3-4 hours. 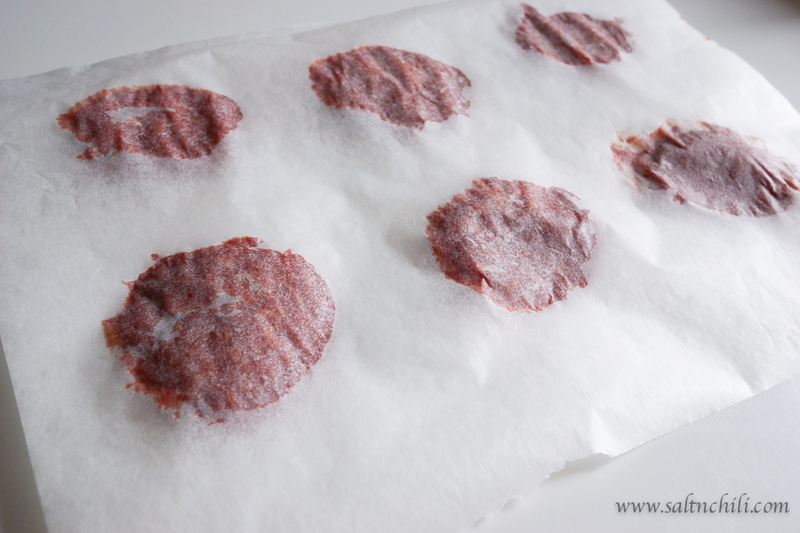 And when you need to use them, just peel off the parchment paper and pop the frozen tomato paste directly into your recipe (no need to thaw). These can be kept in your freezer for a couple of months.